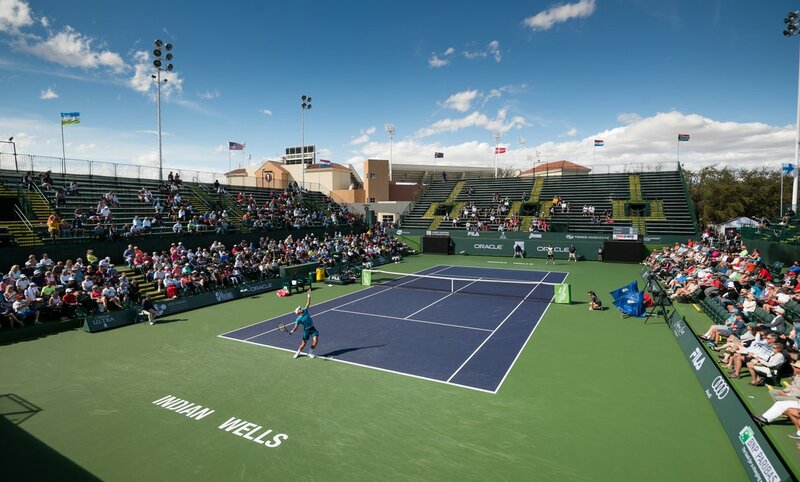 Home / Tennis News / Oracle Challenger Series • Indian Wells Player Lists • Many ATP | WTA Top 100 Ranked Players • Free Entry 2/23-2/28 At The I.W.T.G. Oracle Challenger Series • Indian Wells Player Lists • Many ATP | WTA Top 100 Ranked Players • Free Entry 2/23-2/28 At The I.W.T.G. A strong women’s draw is highlighted by Samantha Stosur, who has accumulated nine singles titles and 26 doubles titles on Tour. In addition to her victory at the 2011 US Open, she also captured the doubles crown at the 2019 Australian Open, 2005 US Open and 2006 French Open, to go along with three Grand Slam mixed doubles championships. The Australian is joined by the WTA No. 3 ranked doubles player Kristina Mladenovic, who has won two Grand Slams in doubles and achieved a career-high singles ranking of No. 10 in 2017. Peng Shuai returns to the Oracle Challenger Series for the first time since winning her title in Houston last fall; and will be met with fierce competition that includes former British No. 1 Heather Watson; and Defending Champion Sara Errani of Italy, among others. The men’s field includes seven Americans, Reilly Opelka, the runner-up in Chicago and semifinalist at the 2018 Oracle Challenger Series in Newport Beach. Opelka is riding a wave of momentum to start the 2019 season having recently defeated World No. 10 John Isner in the first round of the Australian Open. Donald Young, will attempt to build upon quarterfinal runs in Chicago and Newport Beach. Young’s consistent play has moved him up the men’s leaderboard into fourth place, as he looks to catapult himself atop the standings with a successful tournament in Indian Wells. Other American contenders include two-time Oracle Challenger Series quarterfinalist Noah Rubin and 2018 Oracle US Tennis Award recipient Christopher Eubanks. Michael Mmoh, Tim Smyczek and Ernesto Escobedo complete the American contingent. At No. 72, Serbian Filip Krajinovic is the highest ranked player in the men’s draw. Darian King of Barbados, a finalist at this event in 2018, also joins the field in Indian Wells; as does Andrey Rublev, the 2017 ATP Next Gen Finals runner-up. All Oracle Challenger Series tournaments are free and open to the public. For more information about the Oracle Challenger Series and to reserve your ticket, visit oraclechallengerseries.com. The Series offers an unmatched potential prize of wild cards into the main draw of the BNP Paribas Open, widely considered the top combined ATP Tour and WTA professional tennis tournament in the world, for the top two American male and female finishers. They should get a huge thank you from the Tennis Family For Making All Of These Events FREE to the public! Bravo. But please let the fans in without having to go online to register.